Here’s where you need to be; here are the parties you need to see. Kate Spade Saturday, the Kate Spade offshoot known for its cheery selection of pumped-up wardrobe staples, is opening a brick-and-mortar in Georgetown on M Street (in the old Kate Spade store, which has moved across the street into the old Juicy Couture space). 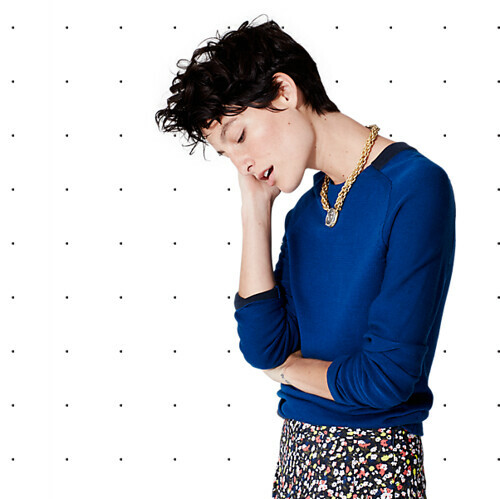 I can’t wait to check out the goods, including cute sweaters like the one above (no more boring sweaters again, evah!) The store opens officially this Saturday (natch), October 18 at 3061 M St. NW. Linda Rodin (above). Iris Apfel. Tziporah Salamon. All incredibly stylish, all completely confident and self-possessed in their manner of dress. These are the Advanced Style women–swans of the street as photographed by Ari Seth Cohen for his hugely popular street-style blog-turned-book, now-turned-documentary film. It debuted a few weeks ago in NYC and will come to D.C. for one day only during Fashion Art Design (the new Fashion’s Night Out) October 25 in Georgetown. I’m proud to say that I worked to make this happen, and I hope to see you all there! So buy tickets before they sell out. 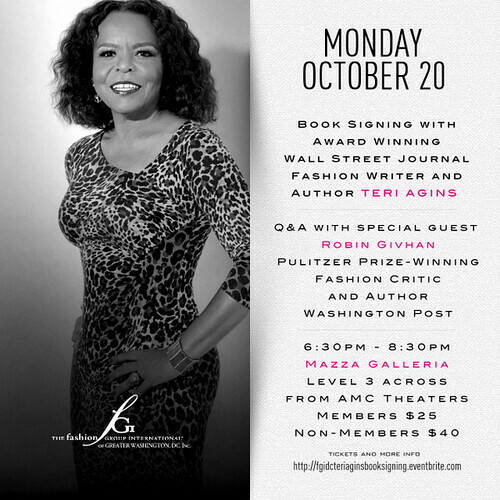 A fashion media powerhouse two-for-one on October 20, when WSJ fashion writer Teri Agins appears in conversation with The Washington Post‘s own Robin Givhan. The talk is also a book signing for Agins’ book, Hijacking the Runway: How Celebrities Are Stealing the Spotlight from Fashion Designers. Sounds dishy! 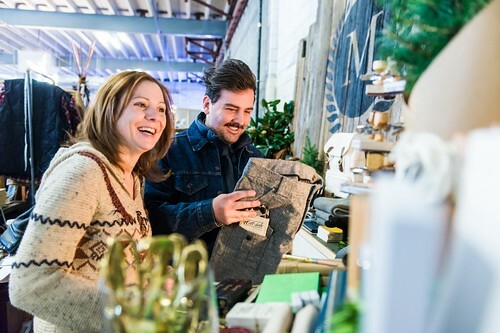 Union Market’s Thread, the pop-up featuring local makers and other “curated” retailers, returns this November. A little birdie tells us mid-November. So watch this space for the full details.